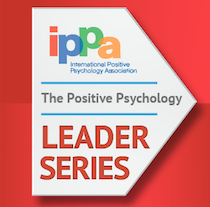 Positive psychological interventions (PPIs) are activities designed to promote positive outcomes via positive processes (Parks and Biswas-Diener, 2013). Acacia Parks, Ph.D., studies the efficacy of positive interventions, and their widespread, real-world scaling and implementation through web and smartphone platforms. In this webinar, Dr. Parks will her story and insights derived from her work as Chief Scientist at Happify, a tech startup that delivers well-being interventions to individuals and large businesses and health plans. She will help us separate the “help from the hype” by highlighting empirically tested PPIs that have been found to enhance subjective well-being and resilience, and improved depression and anxiety in consumers. She will also explore scaleable, tech-based methods for disseminating PPIs as well as forward-looking opportunities for practitioners. 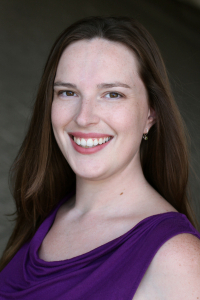 Dr. Acacia Parks is an Associate Professor at Hiram College and Chief Scientist at Happify. Dr. Parks’ research focuses on self-help methods for increasing well-being via books and digital technology, with an emphasis on both self-reported emotional outcomes, and objective/observable outcomes such as physical health indicators and workplace behavior. She received her B.A. in Psychology from Reed College, and her Ph.D. in Psychology from the University of Pennsylvania, where she received training in psychological assessment, as well as cognitive-behavioral therapy for mood and anxiety disorders. While at Penn, she also attended beginning and advanced seminars in Mindfulness-Based Stress Reduction. Her graduate research helped build the foundation for research on bringing well-being interventions to the general public, and her expertise in this area is affirmed by numerous articles in scientific journals, three edited books, and Associate Editorship at the Journal of Positive Psychology. She is currently Chief Scientist for tech startup Happify, which brings cutting edge research-based well-being interventions to consumers, large employers, and health plans.